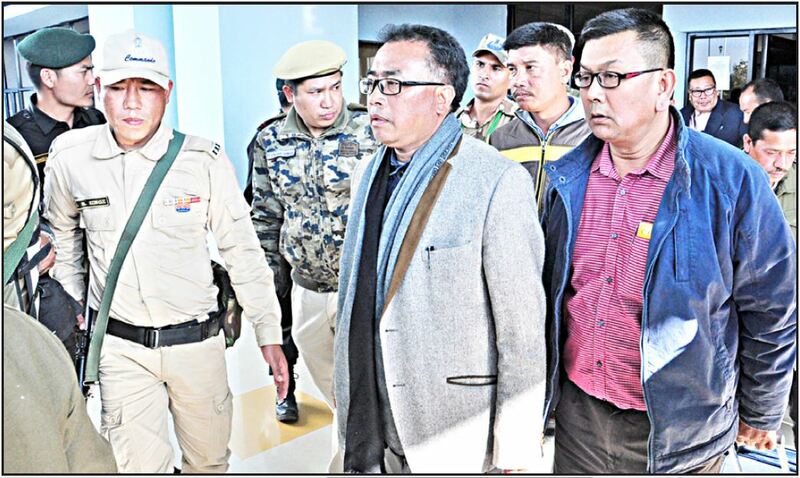 IMPHAL: As the two officials, who represented the state government in the tripartite talk held at New Delhi on Friday, returned home, chief minister Okram Ibobi convened a meeting on Saturday and discussed the ‘tentative agreements’ made in the first round of the talk. Sources said that CM Ibobi, who returned from New Delhi on Saturday afternoon, convened the meeting with his council of ministers in the conference hall of CM secretariat at 4 pm. Additional chief secretary (Home) Dr J Suresh Babu and Commissioner (works) K Radhakumar, who represented the state government in the talk, tabled the agreements made in the talk during the meeting. The meeting discussed the legal procedures for unconditional release UNC president Gaidon Kamei and publicity secretary Shangkhel Stephen before the second round of the tripartite talk, which would be held on February 7. During the tripartite talk on Friday, UNC demanded unconditional release of its two leaders while assuring to positively consider the government’s insistence to call off the economic blockade in its presidential council meeting. UNC also demanded the state government to revoke the decision for creation of seven new district. However, the state government did not accept the demand. On the other hand, government asked UNC to call off its economic blockade with immediate effect to which UNC agreed to discuss the matter. Meanwhile, the meeting of the council of ministers unanimously resolved to initiate necessary procedures for unconditional release of the two UNC leaders ahead of the second round of tripartite talk, sources added. “We told them that for the time being, the priority should be given to the blockade. The people have suffered a lot,” Dr Suresh Babu said. He also said that the UNC representatives were strongly urged to lift the economic blockade. When media-persons sought comments from UNC leader Gaidon Kamei on the first round of meeting, he simply said, “Let’s wait for the new development”. The Naga organization launched the blockade from November 1, 2016 after the Manipur government planned to grant full-fledged district status to Sadar Hills and Jiribam subdivisions. But later the state government created seven new districts leading the UNC to intensify the stir. The Ministry of Home Affairs (MHA) initiated the talk held on Friday.